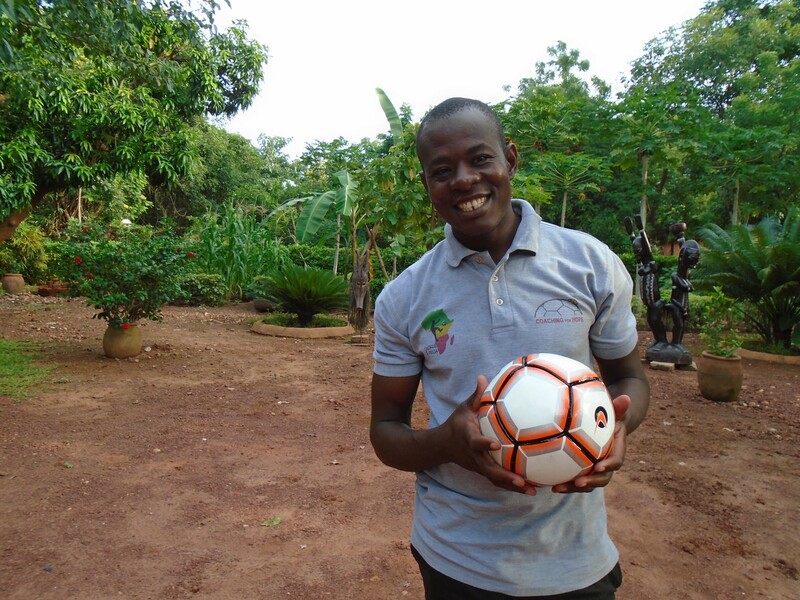 In the second of our Stories From the Field, Sanou tells Common Goal member Serge Gnabry about how he uses football to help others with important issues like personal health and education. Where I am from, everyone is obsessed with football. It does not matter who plays. It could be English Premier League, Burkinabé Premier League, or even the youth teams in our area. If football is being played, the TVs are always on and the stadium is always full. had the money to buy a real ball. When I was able to play football with friends, we used towels, socks, or cans, but never a real football. My father did not want me playing sports with my friends because he was blind and therefore could not keep a close eye on me. This meant I couldn’t play much football growing up. I dreamt about scoring hundreds of goals or making the final save in penalty kicks, but unfortunately they stayed only dreams. My name is Sanou Ernest and I am from Burkina Faso. I grew up in a village Niamadougou which is a short distance from the city Bobo-Dioulasso. My country, Burkina Faso, is one of the poorest in the world. I have a very large family, including seven brothers and three sisters, which made it difficult on my parents. I was very lucky to have been able to get an education. Many of my siblings, such as my older brother and sisters did not get to go to school. As the oldest son in the family, he had to care for our sick father so that my brothers and I could go to school. As for my sisters, my father did not see the importance of sending girls to school. Women’s roles were within the house and for marriage. Whilst overall access to education has gotten better in my country, places like my village Niamadougou still lack quality education services. I had to move to the city. I was used to the quiet life in my village so the city was a shock for me. Though it wasn’t the only thing I had to overcome. The higher cost of living in the city was a big problem. And though my parents had lent me money, and I had some saved up, I realized I could only really afford two months’ rent. I quickly found a job during harvest season picking tomatoes and aubergines in the fields. This gave me more time and money, but not enough. I knew I would have to leave the city, stop my studies and go back to my home. It was then that my older brothers heard about my money problems and so they started to lend me money. Eventually, it was enough to stay in the city and to be able to finish my studies. I was extremely lucky. I got my Baccalauréat in 2013 and started to train for a professional job teaching at a school in Bobo-Dioulasso where I was awarded the CEAP in 2015 (Elementary Certificate of Pedagogical Aptitude). I was excited thinking I was going to finally get my first job. This experience of being given help by my brothers gave me an idea. I felt that from then on, it would be my job to give back to the world. That was when I found TackleAfrica. In 2016, TackleAfrica organised an event at the school I was working with. I immediately loved their program and learnt how they addressed Female Genital Mutilation (FGM) and HIV, which are big issues in my area. Shortly after experiencing the work of the organisation first hand, I joined up and became a full-time coach. 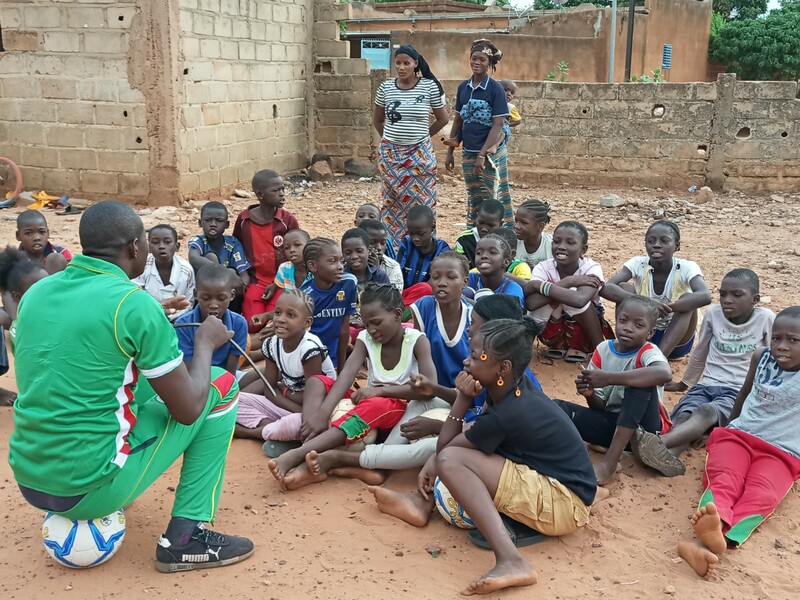 TackleAfrica works to give kids the missing education around important subjects affecting my community. This helps kids learn while having fun, and leads even more kids to join the sessions. Before I started teaching the kids, I had to learn myself. I come from a family where FGM is accepted as normal and traditional. It was part of our history. It makes me sad to think of the unquestioned harm my community had been giving young girls, but there was no education about it. I was surprised at first, but TackleAfrica introduced me to the facts about FGM and changed the way I thought about the issue. Now, I have the confidence and platform to teach about the dangers of FGM and HIV in any setting. First to my family, then to my friends, and finally to the whole community. Besides teaching me the facts about FGM and how to teach about it, TackleAfrica taught me how to finally play football. So far, football has helped me gain more physical and mental strength. It also has helped train me to work better on a team. I learned that on the pitch, and in life, we all work for a common goal. One of my favourite memories from the programme was when a student came to me at the end of the session I was leading. She wanted to share with me her experience with FGM. Before joining my program, she had not understood what had happened to her and why it was such a bad thing. Shortly after that, she brought another one of her friends to a session. Her friend had also been victim of FGM. It was remarkable to see the sessions help open up the conversation on these issues. My favourite part of the job is being able to see the kids out on the pitch, laughing and learning. They are all so bright and love to learn about life, their health, and football. They learn about the importance of teamwork and talking to each other, and how if we all work together we can improve our own lives and community. We are uniting the football community in tackling the greatest social challenges of our time.